Omigosh can you believe it's less than a month until Thanksgiving?? Luckily, we've got you covered with some amazing recipe ideas that everyone will love! It is cuhrazy around these parts. We're feeling the pressure of the fact that the baby will be here before we know it. Oh and it doesn't help that Michael is also graduating which means we now have to figure out and set up his student loan repayments (#blech #seriouslythissystemisawful). Anyway, last weekend I worked and we worked on a couple small things and then Sunday we had our final baby shower which was really nice and fun and we got lots of great stuff + enough gift cards to cover the other things we needed from our registry! Woot! So we ordered all the rest of that stuff this week too. Long story short--we're getting lots of stuff and putting lots of stuffs away. We also picked up the cradle my great grandfather made from my cousin (my aunts and uncles and most of my cousins and cousins kids have all slept in it, including myself). Wednesday we started our 4 week childbirth class which we like, but not as much as we've liked our other classes (this teacher is super sweet but seems not quite as updated on the current research about stuff? I'll admit that I'm definitely the obnoxious know-it-all/closest thing to a hippy of the group, also. Oops.) Other than that I've just been making a bunch of food to freeze for when the baby gets here, reading up about a lot of stuff, etc. Today I'm working and then we're going to get all my old stuff out of my mom's house (ugh) and we also have a couple other small projects we're tackling this weekend. Like I said...busy busy busy! Baby's Size: Right on track, according to my app he's about 3.8 lbs. Maternity clothes: Pretty much exclusively-with the exception of some big pj's and such. Stretch marks: Yes I got a few, ugh. I was hoping I'd get away without any lol. Sleep: not bad, definitely not as deep of sleeps in general and sometimes getting comfortable can take a second (and of course I wake up a couple times in the night) but not terrible. Best moment of this week: We had our last baby shower and it was super fun! Spent more time getting his room together too, which is always fun. AND I was super excited because the doctor said that his head is down, so he's in position already and I hopefully don't need to worry about him being breech! Miss anything: Laying on my stomach lol. Movement: LOTS, I think he's become even more active. Food cravings: Still no cravings, just normal food life around here. Have you started to show yet: YES, very much so! Labor signs: Nope! Cross your fingers that I don't for at least another month! Belly button in or out: In between? No belly button? Lol mostly still a teensy bit in but the top has started to push out. Wedding rings on or off: On, still! Looking forward to: Tonight we have our first childbirth class and I'm excited about that, and I'm really just looking forward to getting more and more done from our to-do list and then I can just relax and enjoy the fact that HE'S ALMOST HERE! Things are getting kind of hectic, this baby is coming soon! Last weekend I had my last wedding of the year and it went really well, it was the perfect way to end the year <3 Sunday, Michael and I pretty much set up the whole nursery (just a few things still need put away or set up later because we don't have them yet). It's so cute and I'm so in love! Once it's done done I'll share more photos and maybe actually do a house tour while I'm at it, we've been here for a year so it's probably about time lol. We also went to Michael's mom for dinner with some of his relatives who are in town, including his cute baby cousin, Wesley (he is so tickled by the fact that he's 31 with a 7 month old cousin)--and of course Michael got a bit emotional, too, all like ,"we're going to have one of these!" It was so so cute. Monday I got some stuff done, including making cheddar pierogi to eat for the week + more to freeze for when baby is here. Tuesday I went to visit with some of my dad's family that I'm close with and pretty much only see when I drive down and see them once a year. Wednesday I realized I had come down with a cold, and also hung out with my cousin Brianna. Thursday and Friday I worked and trudged through having a stupid cold. Stupid stupid cold. Luckily, I'm already on the mend. Today I'm working and then spending time with the hubby and tomorrow we have our last baby shower with his mom's side of the family! Yay! 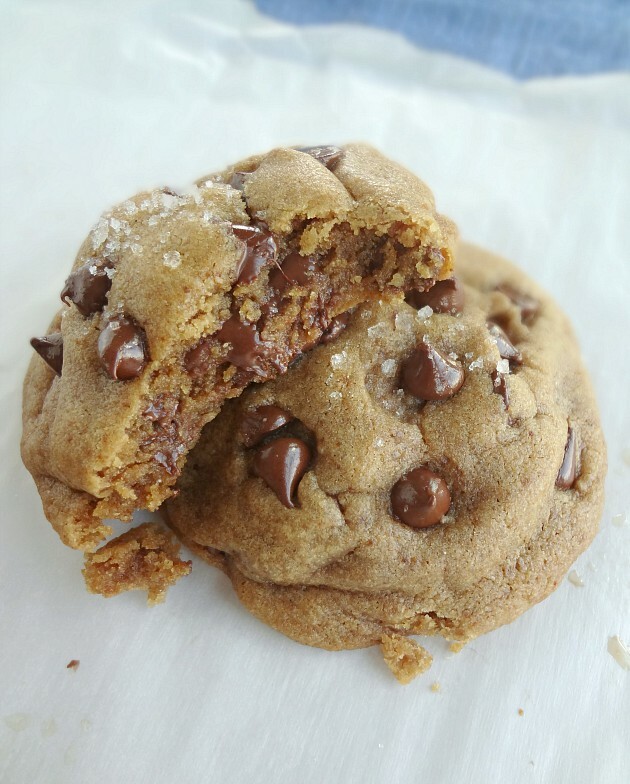 What makes these ccc's healthier than your average cookie? First of all, you use coconut oil instead of butter which makes them dairy free (aside from the chocolate chips, but you can use dairy free chips if you'd like) and everyone knows coconut oil is like miracle food or something, right? Then, you use white whole wheat flour. And finally, the amount of sugar is reduced from your average cookie recipe and we use only unrefined sugars. Just a few little swaps! Now what makes these cookies delicious? 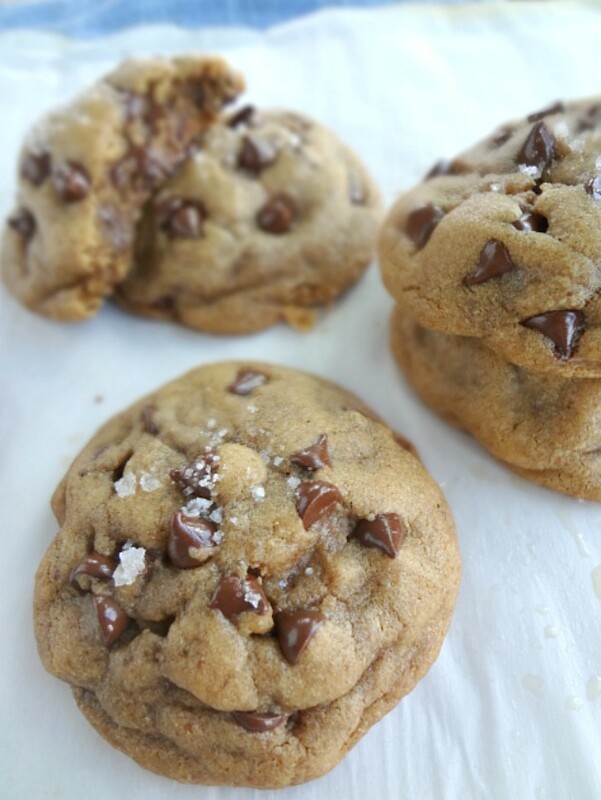 They're inspired by the famous NY Times Chocolate Chip Cookies-which means they're big. 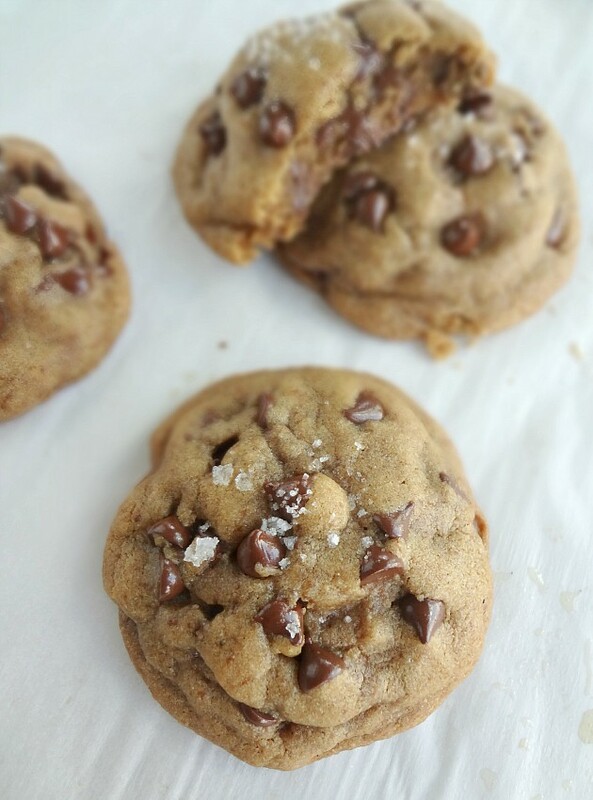 And crisp around the edges but omigosh so gooey inside and chewy and full of flavor and chocolate chips and ahhhh I miss them and I want them right now!! Take it from someone with high cookie standards-these are LEGIT. Considering there's just over 2 months before the young sir arrives, we've started trying to get stuff ready. Michael installed the ceiling fan in his room and we did a bit of shopping last weekend as well. I started trying to make some food to freeze for after he's here, this week, stuff like that. Tuesday I had a doctor's appointment-nothing exciting, everything is good! Wednesday I got to see the new studio space that Perfectly Planned is now calling home (so exciting!) and met with the couple whose wedding I'm coordinating today! Yesterday I had the rehearsal (and a funeral for a close family friend, which is super sad and I won't get into but I'll say this: hug your loved ones. You never know when something can happen) and today is the big day! They're friends of my boss so she'll be attending and I'll be trying to keep her from working :P.
Sweet and oh so flavorful...roasted garlic and caramelized onions are a few of my favorite things (I tried to plug them into the song but couldn't quite make the rhyme scheme work so just pretend I'm clever and I did it and we all had a good chuckle, mkay?). 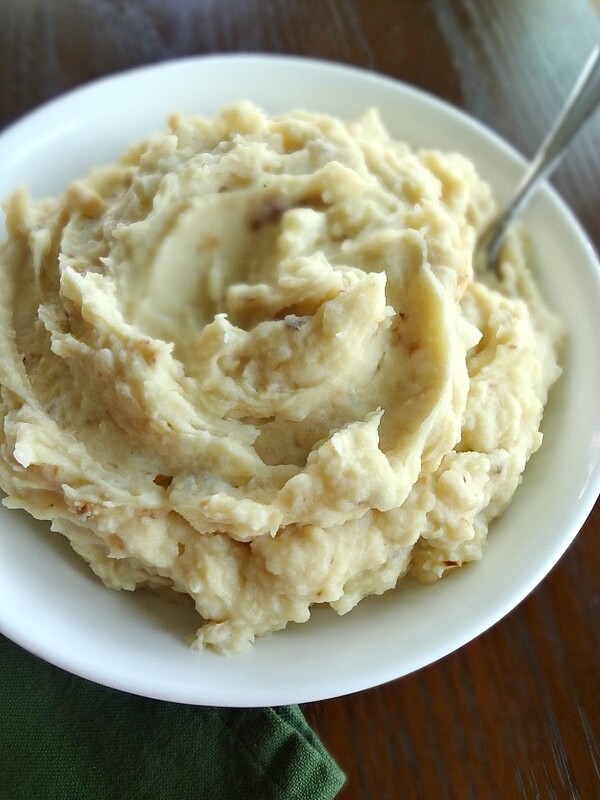 I also adore mashed potatoes. So putting them all together is pretty much side dish nirvana. (Especially when you're serving them with french dip sandwiches. That's a good meal, right there). 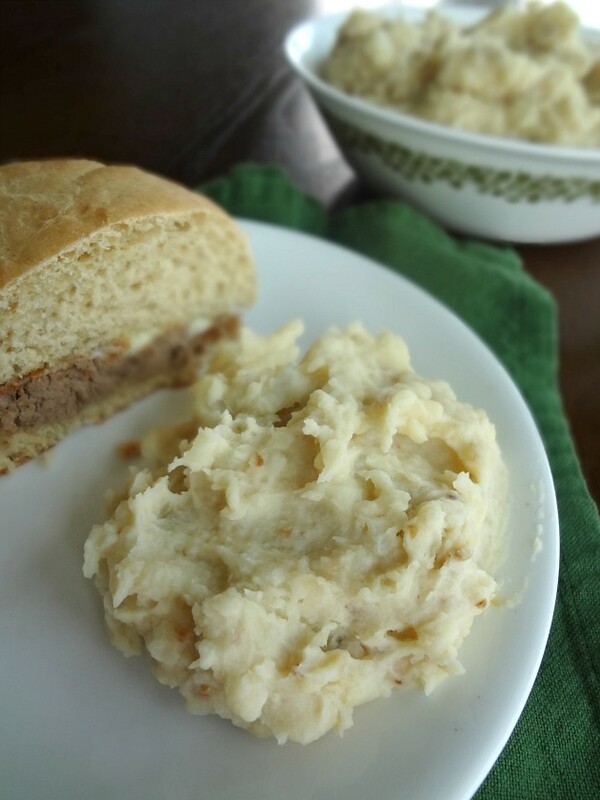 It's so ironic that I have so many mashed potato recipes on this blog but, in reality, 99% of the time I make mashed potatoes I sort of just wing it and mix stuff up not according to any particular recipe. That's real life, folks. BUT sometimes you wanna mix things up and do something specific and special and that's what happened here with these lovelies. 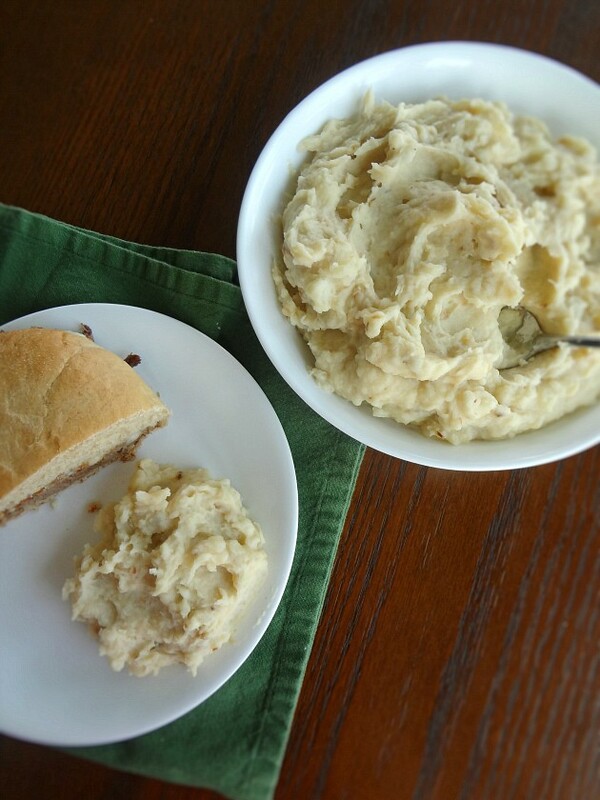 Creamy mashed potatoes with all the flavorful and somewhat sweet deliciousness imparted by roasted garlic and caramelized onions totally make the time that goes into them worth it! Michael even enjoyed them and generally he's pretty meh on mashed potatoes. Highly recommend! Hey! Did you know you can make a yummy pie filling with just 2 ingredients? And that those ingredients are nutella and heavy cream? WELLL...now you know. And you know that it's creamy and silky and decadent. And that it probably is delicious in any kind of pie crust, but I highly recommend a toasted tart crust. 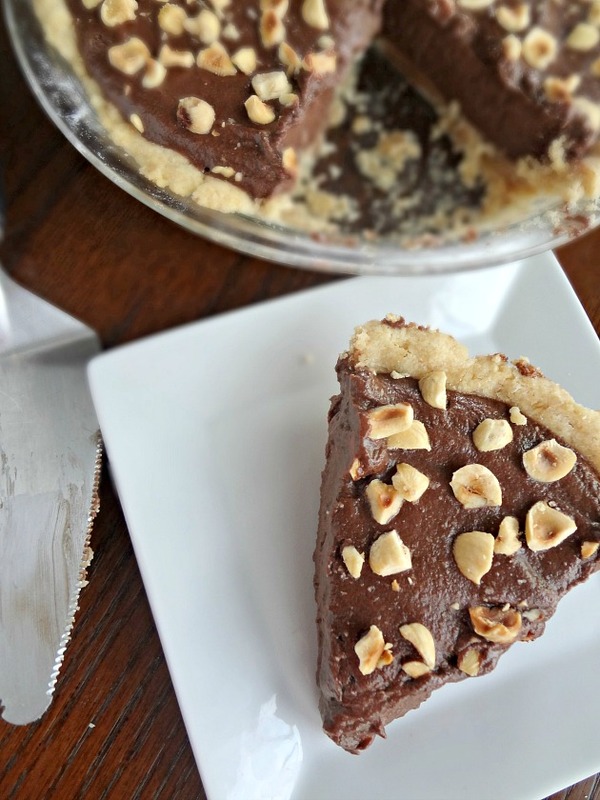 Because it's buttery and adds even more hazelnutty goodness. But you do whatever you like! I love how crazy easy this is to make. And how decadent it is to eat. 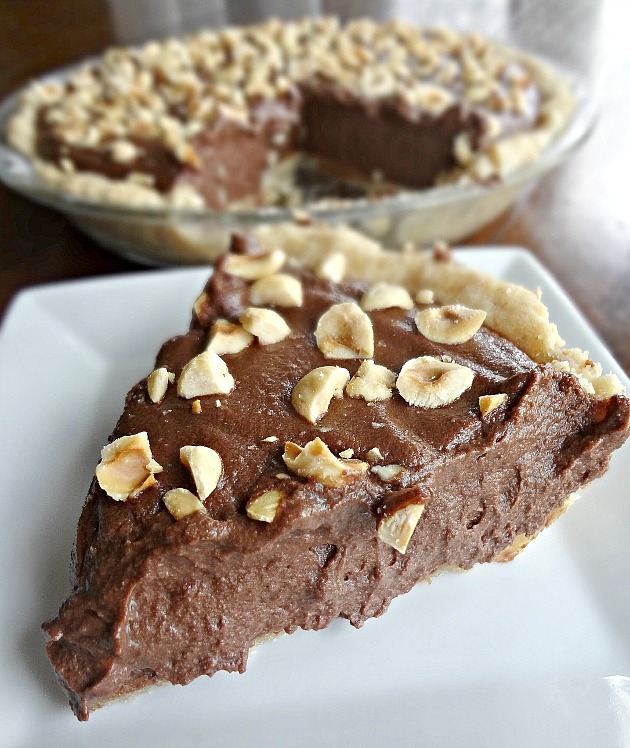 But be warned-you had better love nutella if you're going to eat this pie because it is FULLLL of nutella flavor. Which I adore. So I was a happy happy camper.